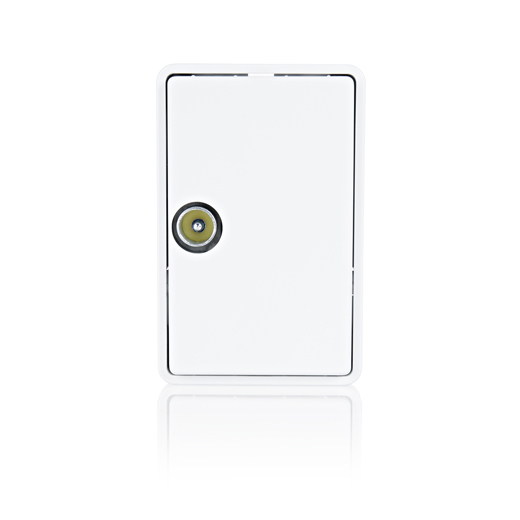 The Freja series has been developed by DKTCOMEGA especially for the Danish market with the familiar rectangular design. The series comes both as a TV/FM and as a multimedia outlet and is characterized having a low insertion loss, and a high isolation between the outputs. The outlets all meet the demands for the CENELEC Class A screening efficiency. 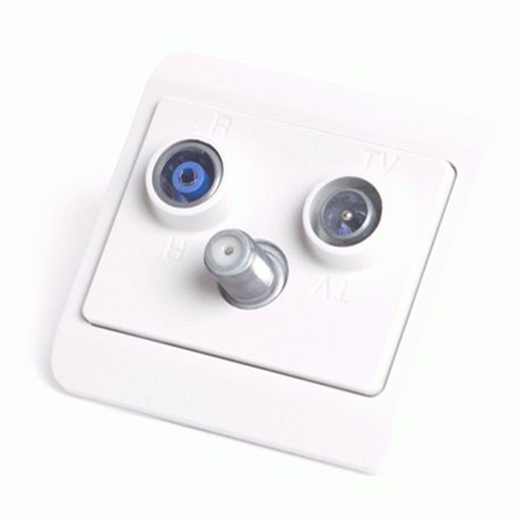 This is especially necessary in order to supply an optimal CATV signal, when the outlet is connected to a data modem. White Terminated TV & Radio Outlet. 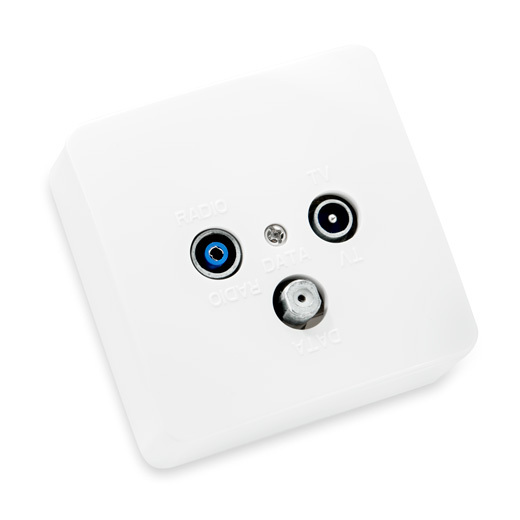 White Loopthrough TV & Radio Outlet. 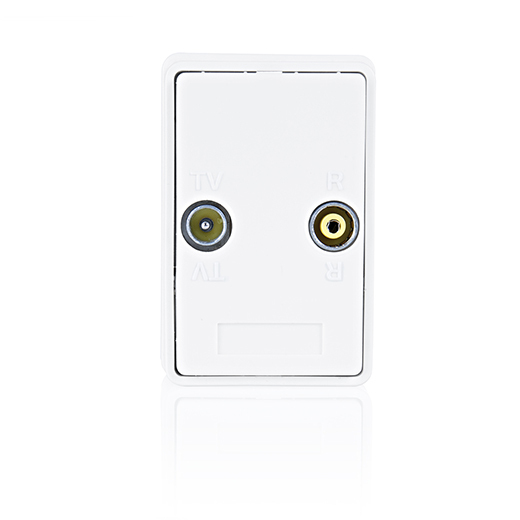 White Terminated Diplex 5-65/118-1000MHz Data, TV & Radio Outlet. Grey Terminated TV & Radio Outlet. Grey Loopthrough TV & Radio Outlet. White terminated Sat, TV & Radio Outlet. 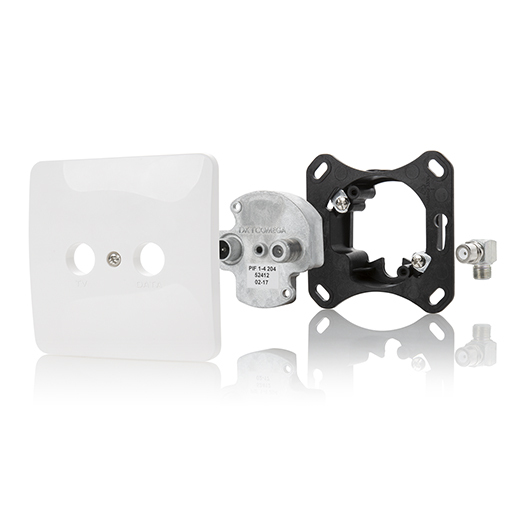 Grey Terminated Diplex 5-65/118-1000MHz Data, TV & Radio Outlet. 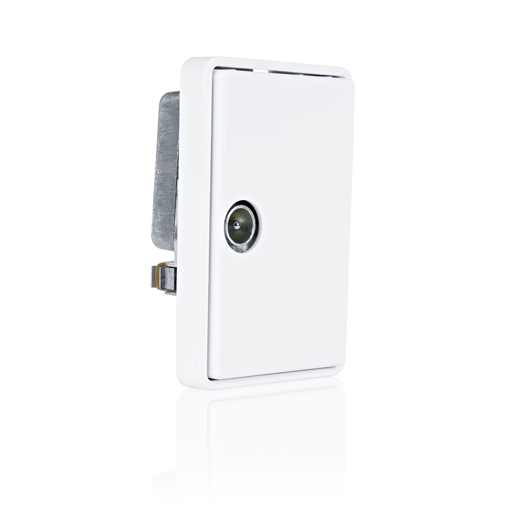 White loopthrough Diplex 5-65/118-1000MHz Data, TV & Radio Outlet. 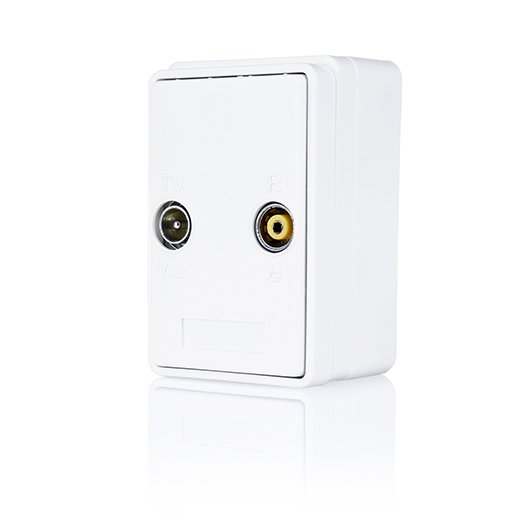 White loopthrough Standard 5-1000MHz Data, TV & Radio Outlet.